You could think of this as a more practical Range Rover Evoque. 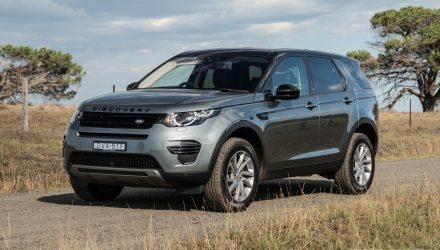 It’s called the Land Rover Discovery Sport and it’s Jaguar Land Rover’s latest attempt at the medium-size premium SUV segment, blending luxury, class-first seven seats (optional), value for money, and all of the off-road pedigree you’d expect from Land Rover. 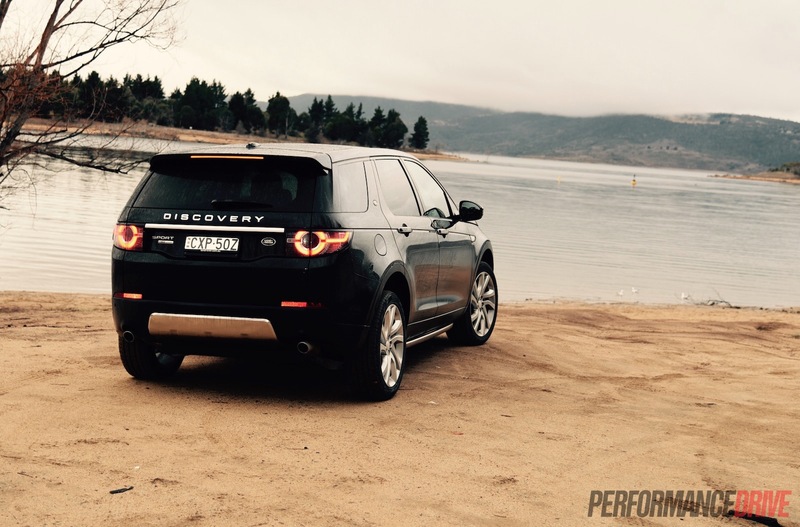 Replacing the Freelander 2, the Discovery Sport falls under the new ‘Discovery’ sub-brand. 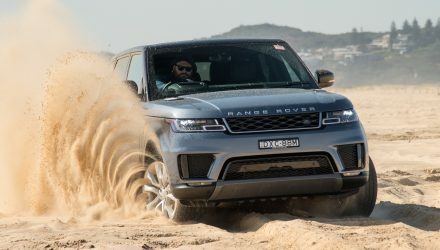 Like Range Rover is a sub-brand reserved for its luxury-focused models, the Discovery brand is being applied to leisure vehicles and will soon welcome the new full-size Discovery. 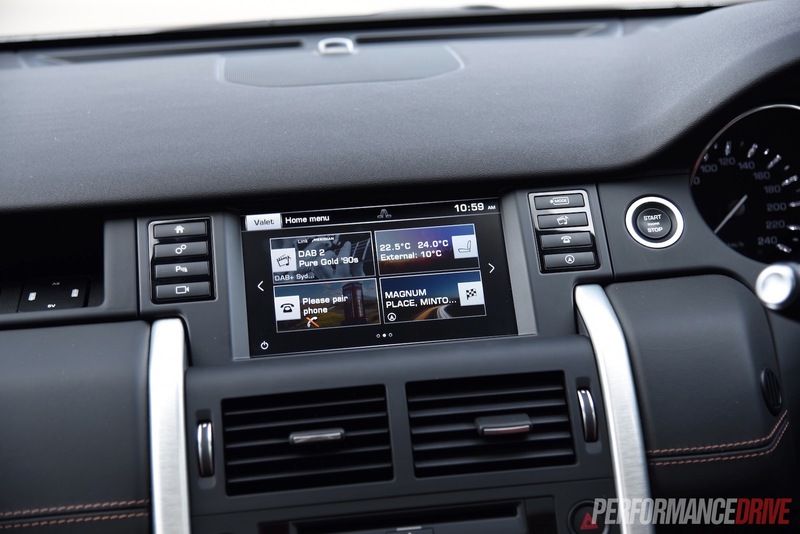 Underneath the Sport is the same platform that featured on the Freelander, and the Range Rover Evoque for that matter. The chassis actually started life as the Ford EUCD platform that underpins the Mondeo. 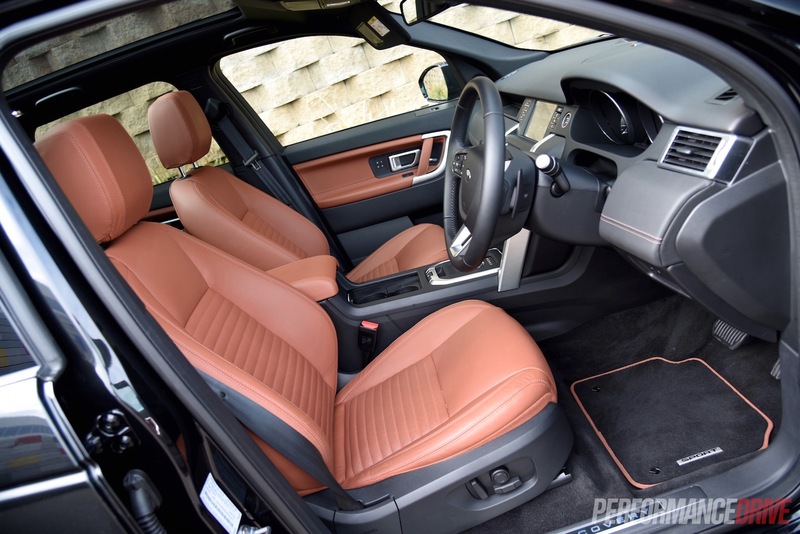 It is obviously heavily modified by Land Rover, with extensive alterations to make it suitable for off-road driving and to allow for seven seats. 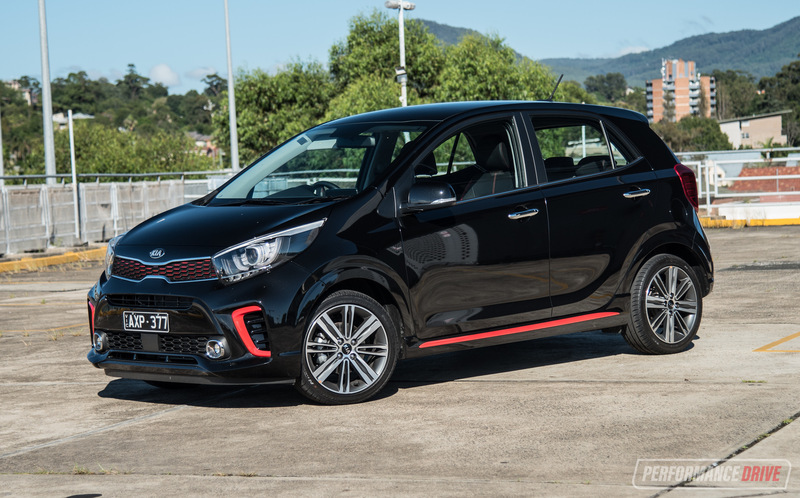 In Australia, buyers have a big yet digestible variety of engine and variant levels to choose from. There are three engines, the TD4, SD4, and Si4, and then SE, HSE, and HSE Luxury trim levels. 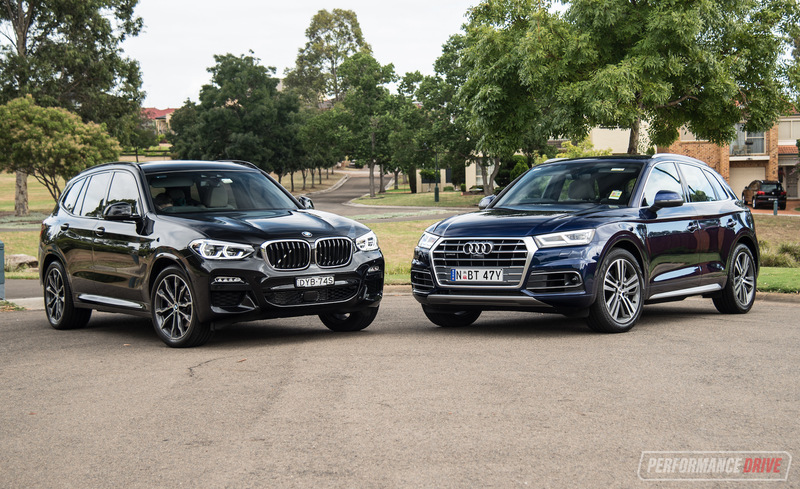 Both the ‘D4’ variants feature a 2.2-litre turbo-diesel, with 110kW/400Nm and 140kW/420Nm, respectively. 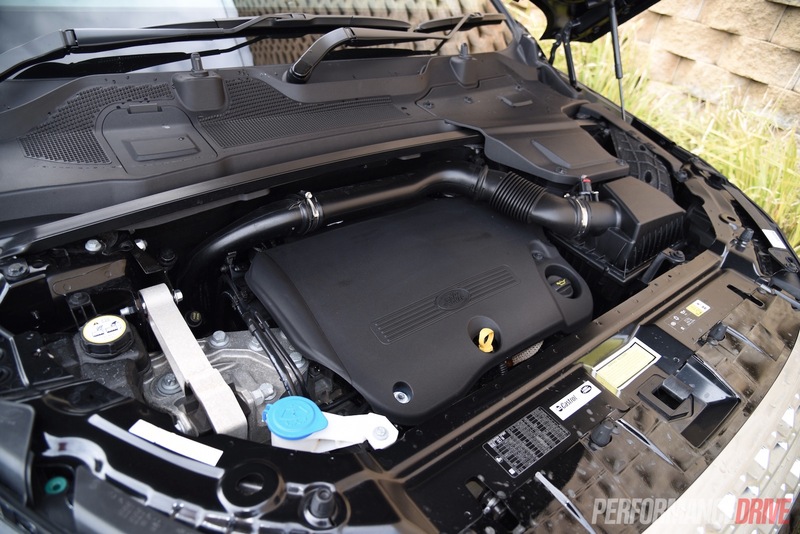 The Si4 comes with a 2.0-litre turbo-petrol producing 177kW. 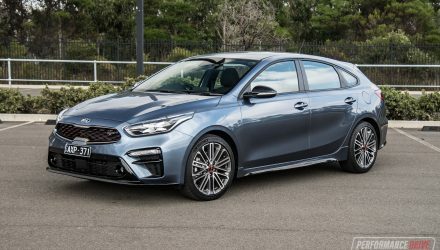 Strangely – for this day and age – there is a six-speed manual option for most (all but petrol models), or an optional nine-speed automatic. 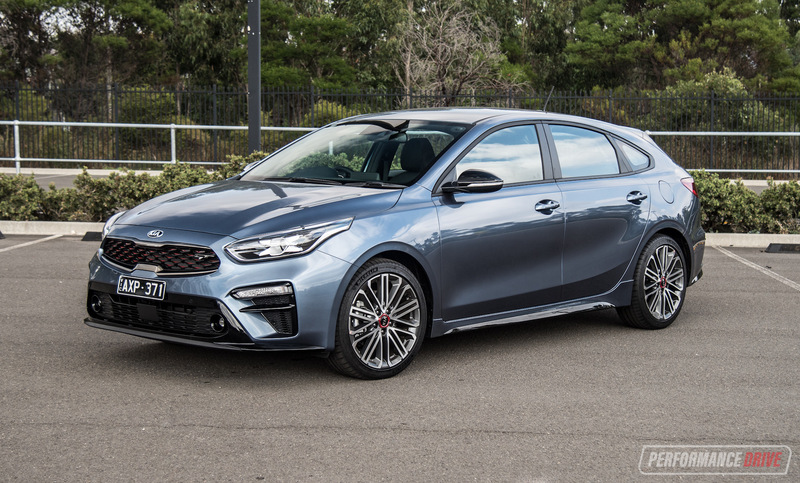 All models in Australia (at the time of writing) are all-wheel drive. A front-wheel drive version is in the pipeline. Here we’re testing the top SD4 in HSE Luxury specification with the nine-speed auto. 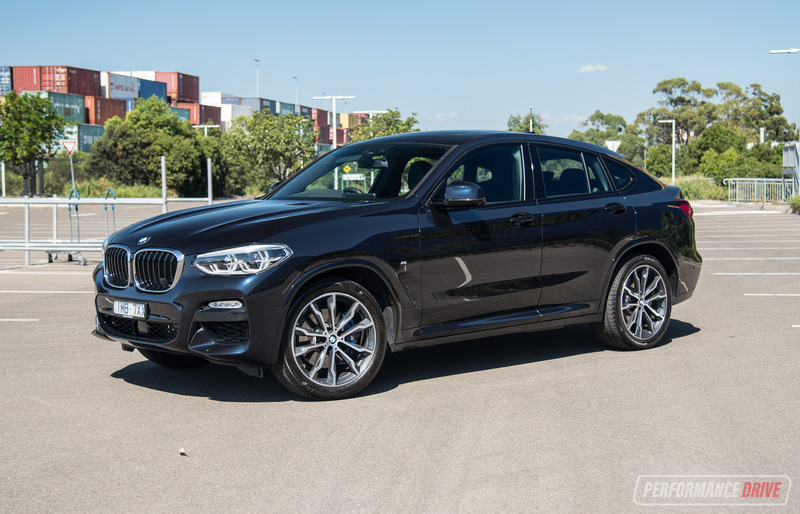 Prices start at a surprisingly reasonable $53,000 for the total base model TD4, and go up to $69,000 for this top-spec version. 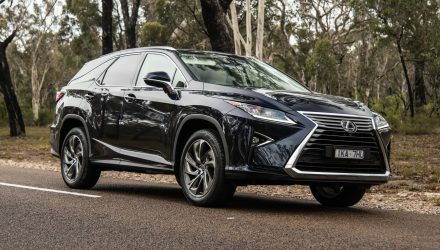 At this price range it certainly represents a tempting package for those in the market for a premium SUV. 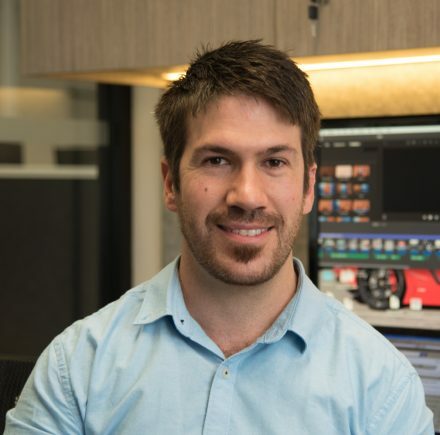 Normally with Jaguar and Land Rover vehicles buyers are presented with an exhaustive and intimidating options list featuring items that really should be standard, considering the vehicles’ retail price. 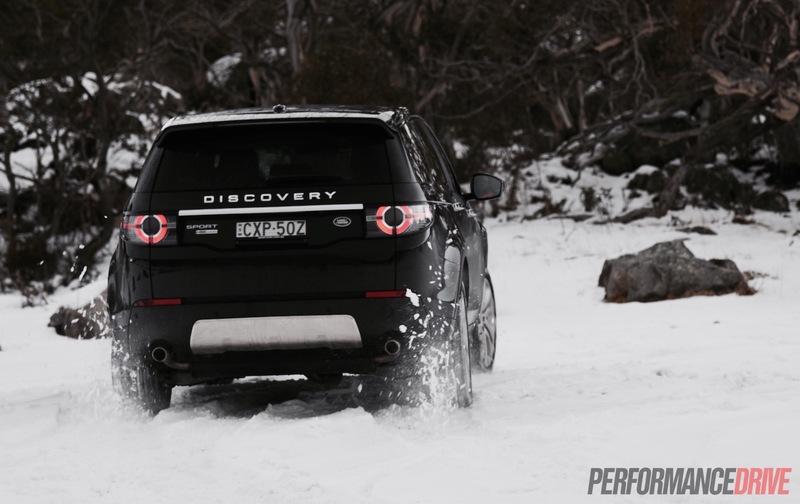 Fortunately, that isn’t the case with the Discovery Sport. Sure, the list is long but you do get a heap of luxuries even if you tick no boxes at all. The interior is classy and modern, with a good spread of quality materials over the dash and door trims, leather seats as standard, power adjustable seats in the front, a comprehensive interface with sat-nav on all models, and even a rear-view camera as standard – normally at least a $1000 option on some Jaguar and Range Rover models. 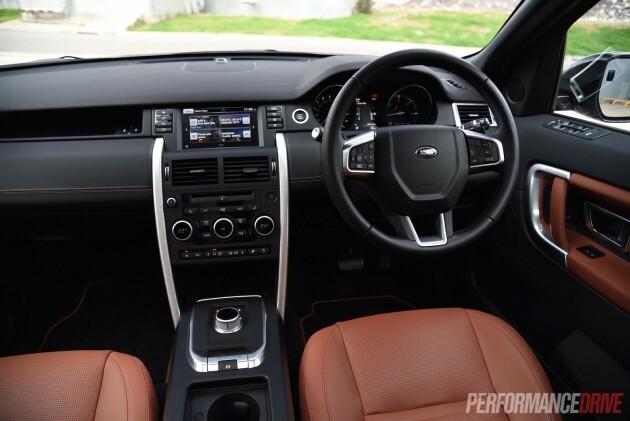 For the HSE Luxury you get more premium leather with increased front seat adjustability, along with a 17-speaker premium sound system, digital radio with the widest reception range we’ve experienced in a vehicle (a $540 option on lesser variants), and collision mitigation safety with automatic braking. You also get dual-zone climate control with pollen filtering and humidity sensors, and heated front seats (a $620 option on lesser variants). 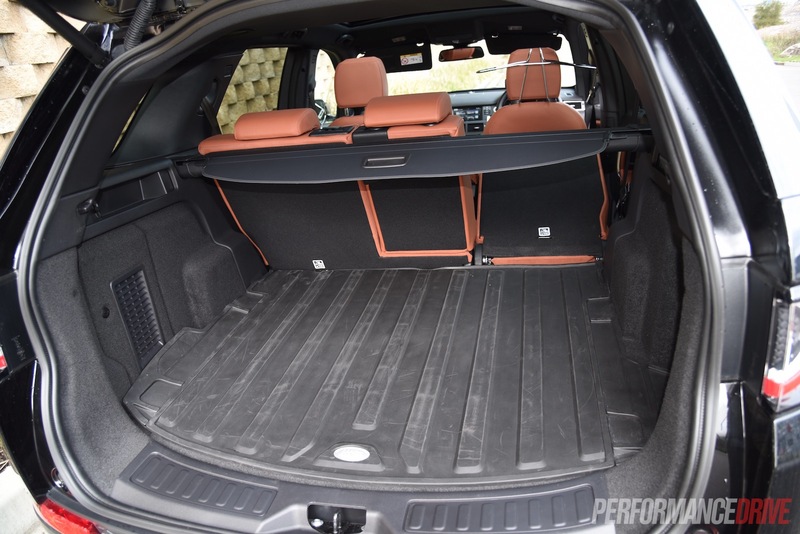 The Disco Sport offers a decent-size cabin for the segment, going up against the likes of the Audi Q5, BMW X3, and Volvo XC60, and the Lexus NX to some extent (although not according to VFACTS). Front seat space is good with ample headroom thanks to the tall cabin. Land Rover uses a squarish design layout with most shapes utilising right-angles. 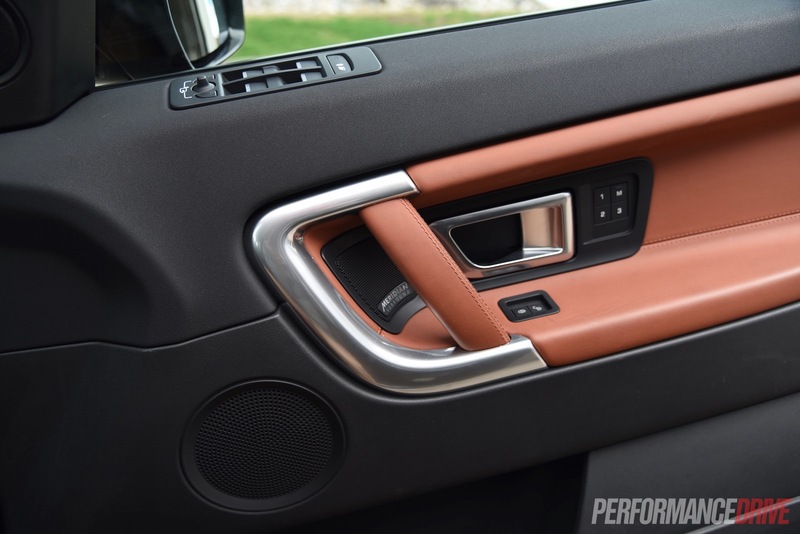 This tends to make the cabin feel bigger and less cluttered, particularly around the centre console which is quite bulky but it doesn’t bother you due to the shape. The touch-screen is a bit of a reach for shorter individuals, but the rest of the controls are well within arm’s reach. It’s a comfortable place to be, even for very long journeys. In the back there is plenty of space as well, capable of carrying three adults across the contoured bench in reasonable comfort. The middle seat is, as usual in most vehicles, the least appealing due to the narrow and raised cushion. 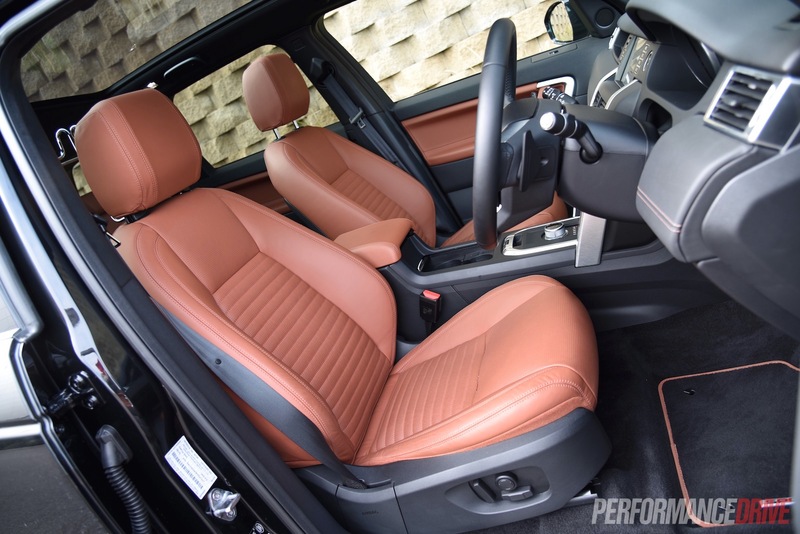 In the Discovery Sport it is one of the more aggressively shaped seats as opposed to the mostly flat benches in the BMW and Volvo. 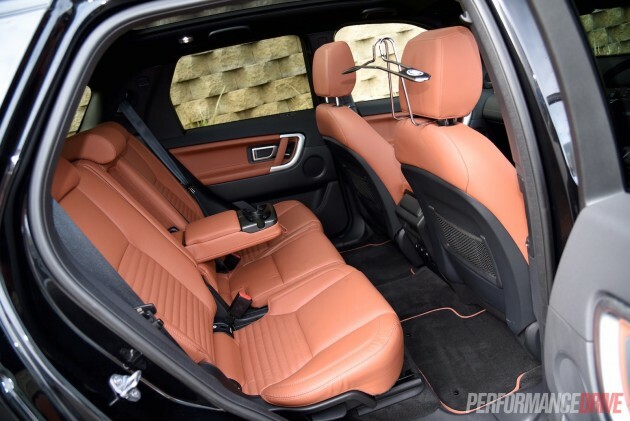 On the other hand the outer seats are sporty and supportive while in the mentioned rivals they are not. 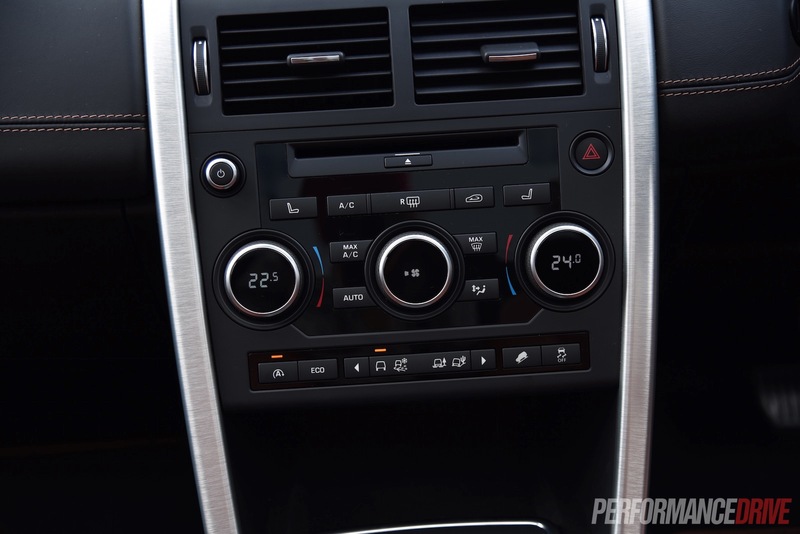 Rear passengers are comforted with air-con breeze and their own 12-volt and USB sockets in the back of the centre console to recharge their dependencies (optional USB ports in the third row, where fitted – $160). Buyers that are after more passenger room can opt for the third row seats ($1990), taking passenger capacity up to seven. No other SUV in this class offers seven seats. 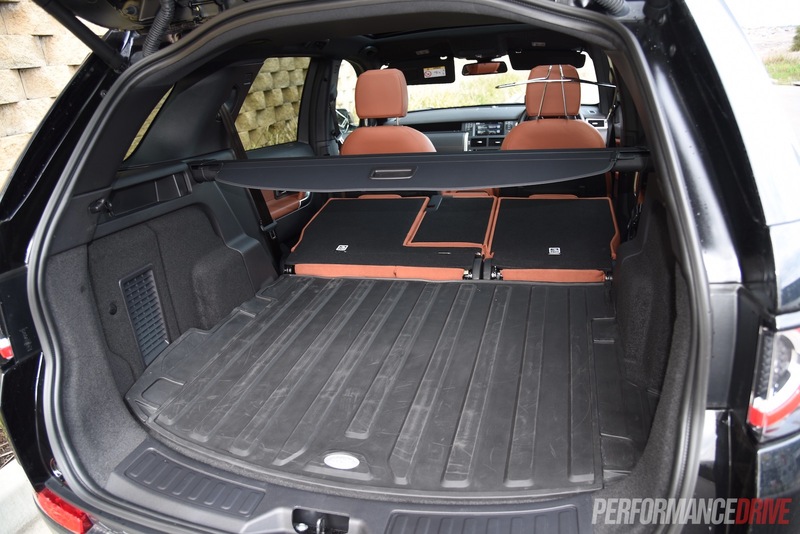 Cargo space is impressive, rated at 479-681 litres (dependent on the position of the sliding second row) and expandable to 1698 litres with the second row laid flat. It does feature a high loading floor (778mm) due the off-road ground clearance. More on that below. In comparison to the leading rivals – Audi Q5 (540L/1560), BMW X3 (550L/1600L), and Volvo XC60 (495L/1455L) – the Discovery Sport does well to cater for its audience, especially the adventurous types that like to head out camping. 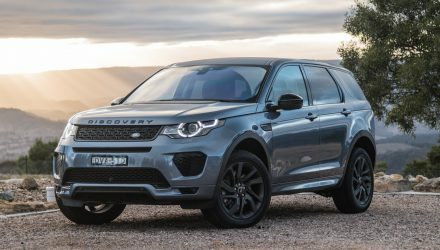 Additionally, the Discovery Sport offers the highest braked towing capacity out of the diesel rivals, offering 2200kg compared with 2000kg in all competitors mentioned above. For those who like the perched up driving position of SUVs, you’ll love this vehicle. If you raise the seat right up you can peer down on all of your road-going peers. Lower the seat down and you’ve got yourself a more sporting position that makes you feel like you’re sitting in the vehicle rather than on it. If you’ve ever driven a Range Rover you know about the distinctive ‘in charge’ driving nature that it offers. 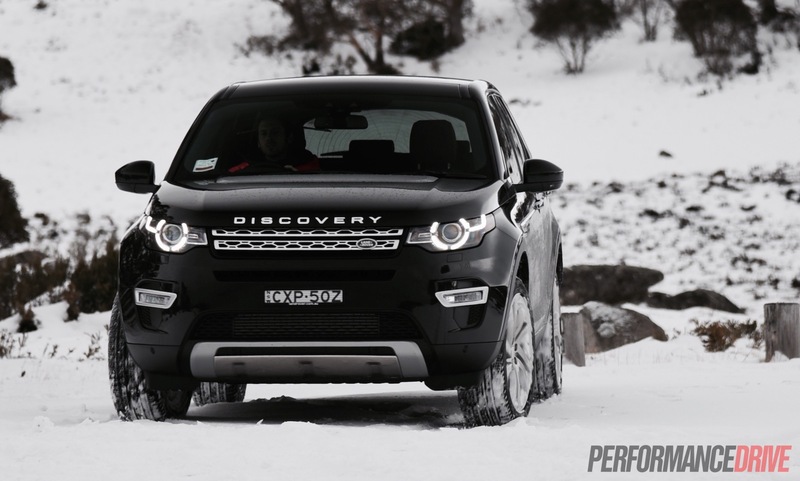 The same is felt in the Disco Sport, perhaps even more so than in the Range Rover Evoque. The distances between you and the pillars, the thinness of the pillars that allow for a clear view, and the low window sills/tall windows make it the quintessential British luxury SUV. 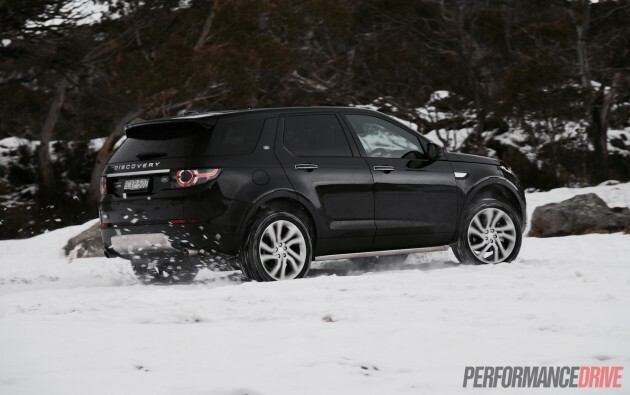 We think Land Rover has done a great job to carry across this ambience that characterises its products. 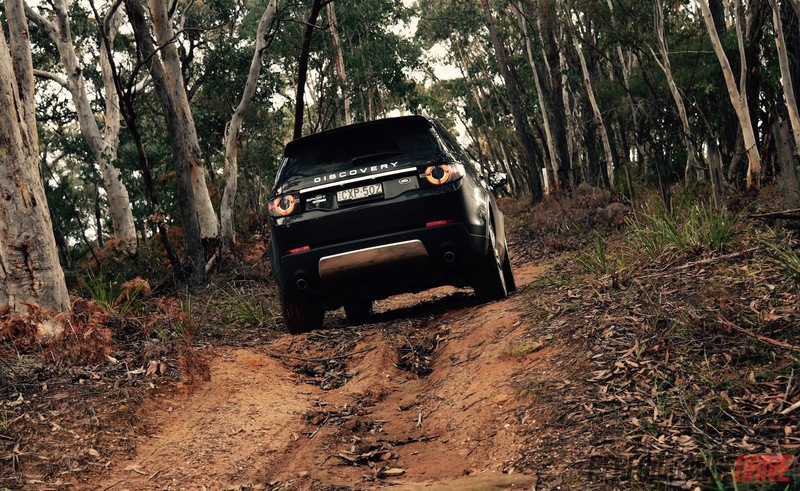 As a result, the Land Rover is very easy to drive. 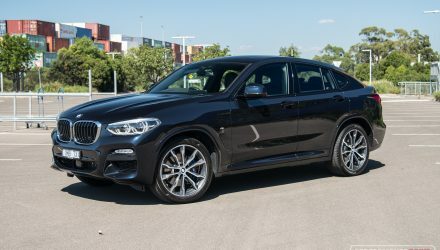 The external proportions are immediately fathomable so you can park it confidently knowing you’re not about to ruin the beautiful exterior, and you tend to know exactly where the wheels are on the road which makes it nice to drive around corners. Speaking of which, there is some initial body roll or body tip, but from there it holds its stance and glides around. We’re not completely chuffed about the electric steering feel, but there is a decent amount of feedback most of the time with only patches of vagueness when you really push it over a bumpy and curvy road. All of this is completely acceptable, especially if it turns out to be an ace when it comes to off-road driving. We’ll get to that soon. With the SD4 engine you get respectable performance, although power and torque are down compared with the top-shelf diesel rivals. 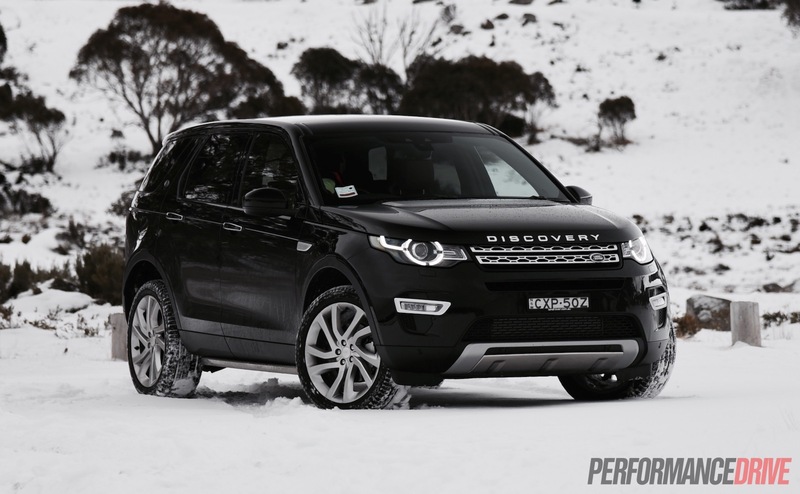 In saying that, the Land Rover is the lightest weight diesel model in the class. By all means, it is brisk enough for this type of vehicle and for daily driving. 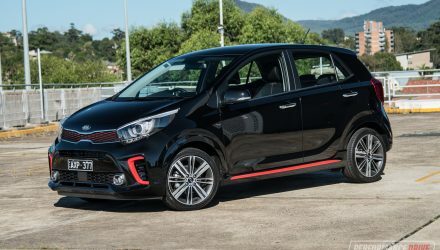 Overtaking is a breeze thanks to the mid-range punch, and getting off the line can be achieved swiftly as only 1750rpm is needed for peak torque – so long as the transmission is in a happy mood. We timed 0-100km/h in 8.7 seconds. 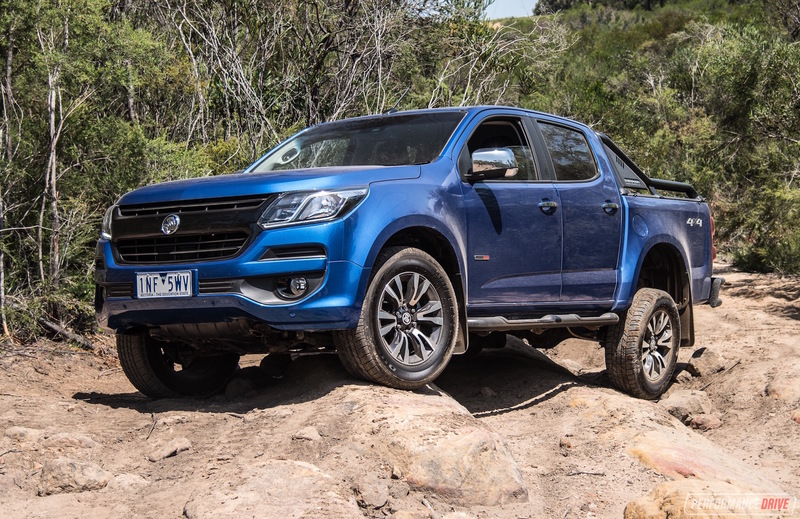 In reality, we think the time doesn’t reflect the true nature of its performance; it feels more like a 7.5-8.0-second vehicle when zipping around, again, due to the low-end pick up. As speed builds, acceleration does tend to taper off. As for the transmission. We can’t think of a nice way to say it but it is the most annoying unit in the class, without a doubt. During slow speeds is where it is the most irritating. It takes too long to kick down, and off the mark it will drive off in second gear, resulting in turbo-lag. 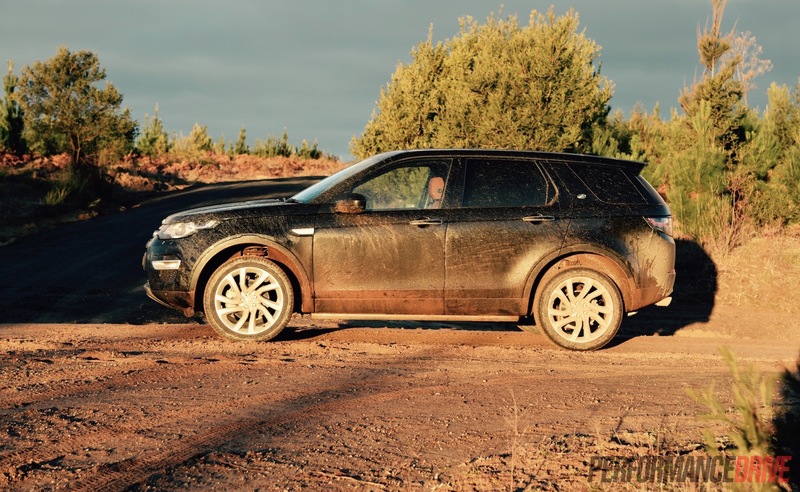 This is because the Discovery Sport doesn’t come with a low-range driving gear for off roading. Instead, the nine-speed auto is uniquely engineered with a very short first gear. It can become a real nuisance if you ever need to dart away from a hazardous situation. The changes are quick and smooth, but in our opinion it needs a thorough re-calibration. Of course, the upside to the short first gear is proper off-road preparation. We took this example on some very sticky and slippery muddy tracks, with big boggy tyre ruts, and on the unforgiving snow. 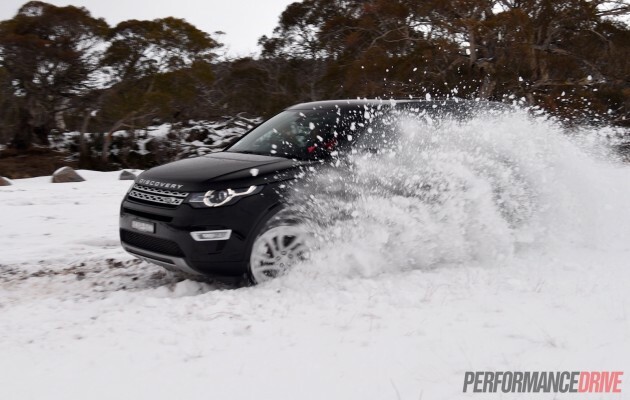 We couldn’t feel the difference using the Terrain Response driving modes – General, Grass/Gravel/Snow, Mud and Ruts, Sand – apart from with the snow setting in the snow. In either of the others it pulls through without hesitation, regardless of the mode. It feels like the vehicle’s brain is constantly monitoring the traction of each wheel and directing torque accordingly to guarantee continuous progress. Or in extreme cases, it virtually locks all four wheels, feeding torque to all four at the same time. In short, it offers outstanding off road performance. 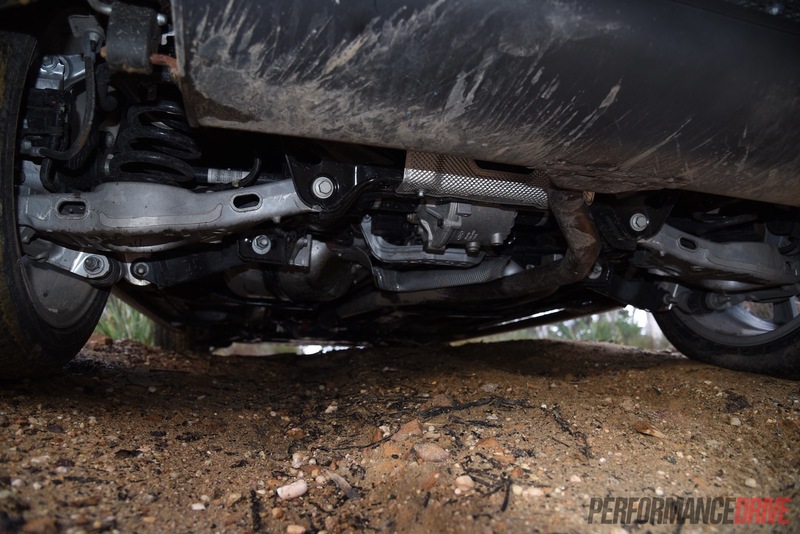 With 212mm of ground clearance, there were a few cringing moments diving into some of the deeper ruts. However, the Disco drove through as if it designed the track. 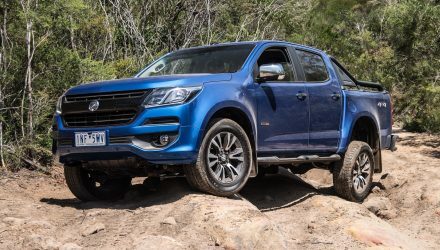 It certainly out-performs any of the rivals that we’ve tested in this class, and even shows up a few of the more reputable SUVs that are on the market at the moment. We were a bit worried that this vehicle, while seeming to be equipped like a proper 4×4, would turn out to be nothing more than a pretend Discovery for amateurs. It is far from it. As a word of advice, if you are planning on going off road we’d suggest sticking or opting for the 18- or 19-inch wheels that come with taller tyres, as opposed to the optional 20-inch rims that feature low-profile road-oriented tyres. This test vehicle came with the standard (HSE Luxury) 19-inch units with 235/55 tyres. These are probably the best balance between sporty tarmac driving, ride comfort, and off-road performance. 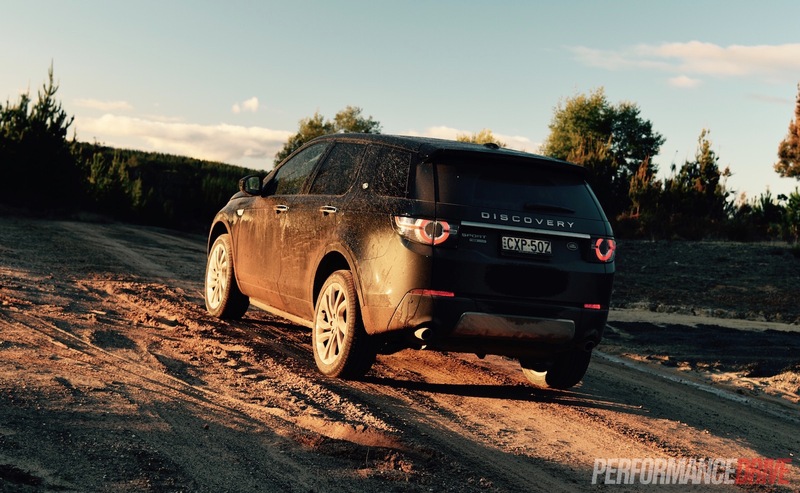 As you might have read in an editorial report last week, this writer is considering buying a Discovery Sport. It is an extremely tempting option. We like the design, inside and out. It is the most luxurious and prestigious in the class we think, and definitely has the coolest road presence compared with the boring and conservative German rivals. We also like the real off-road ability; this isn’t a fake 4×4. And the price is acceptable, offering good value for the money and packaging (putting aside the fact the Australian government rips us off with extraordinary taxes on luxury imported vehicles). 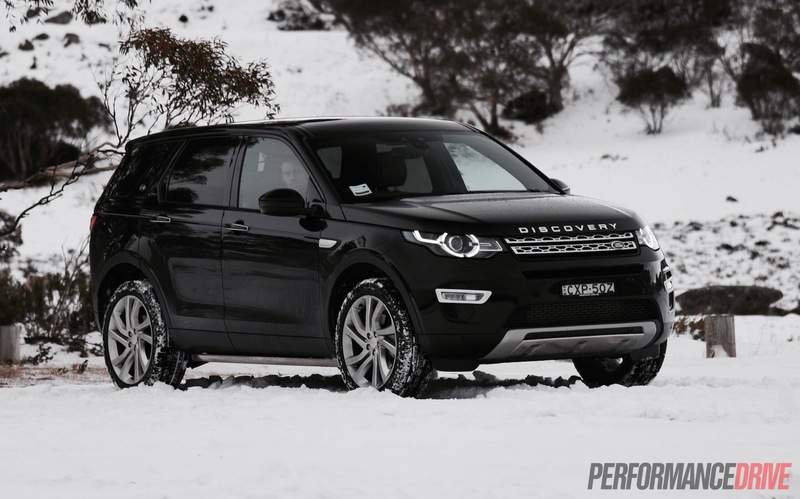 About the only aspect we don’t like is the nine-speed auto and its tendency to hesitate and jerk around, and the fact Land Rover doesn’t have the best reliability history according to the highly regarded US J.D. Power customer surveys. If you can sweep these aside (like I’m considering doing), then the Discovery Sport is a standout product well worth getting excited about.